Porsche enthusiasts email me several times a week for info on the upcoming book covering the Carrera 2.7 MFI and so I thought it was time to publish a public update on the project. The end is in sight, but there is still quite a bit of work left even after the last word has been typed. The exact release date is TBD, though by the end of January we should have a good idea when it will be available for sale. 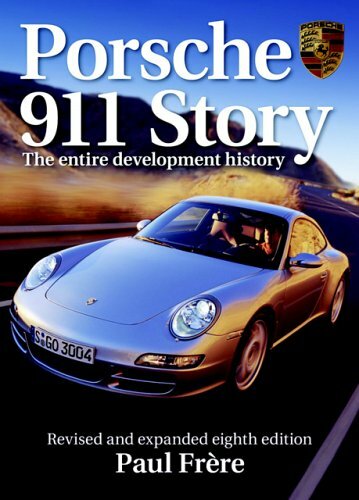 The majority of the book has been edited at this point by an automotive editor as well as copyeditors, and most sections have undergone a deeper technical review by really knowledgable Porsche enthusiasts. That said, even the final copy is a moving target as almost weekly some new nuance is discovered that requires re-researching details to ensure the book is as accurate as possible. As with all books, articles, etc. there will be mistakes, but hopefully they will be few and far between. Approximately 300 pages have been laid out at this point and seeing the results are quite motivating. This was no small task, but I think it is important to produce a book that people love to spend time with, rather than just partially reading once. At the end of October the first round of studio shoots were completed in North America, with a second studio shoot that should occur by the end of January. This was an extremely rewarding step forward, particularly as the photos were integrated into the existing book layout. Each new photo brings the book to life and I hope readers enjoy the depth and diversity of photos as much as I have. 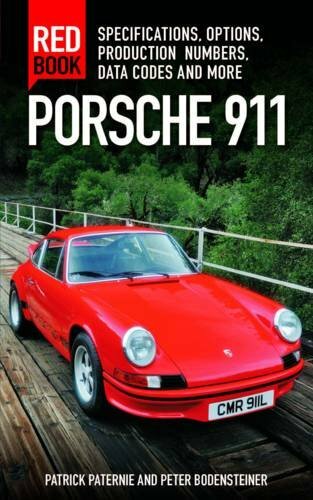 The book will be approximately 375 pages, filled with high quality images, detail shots, period photos and significant exploration into all aspects of the mid-1970s Carrera model. 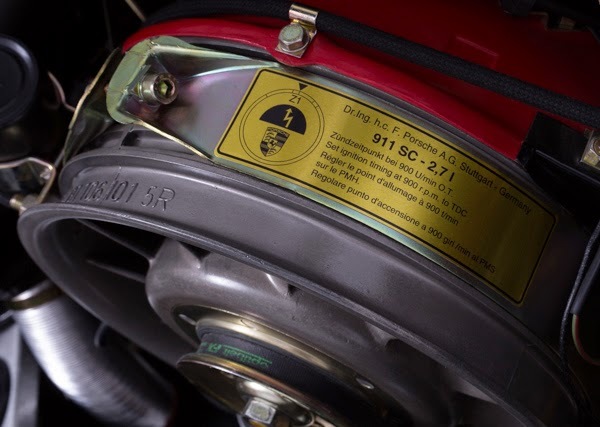 Even the most astute Porsche enthusiast should learn some new things and owners of other period Porsche, such as the 3.0-liter 930 Turbo, will find it to include a wealth of information not found anywhere else. Thanks again to all the contributors who have given feedback, suggestions, photo contributions and, most of all, have been patient with the project. Happy Holidays! 1974 Carrera 2.7 MFI #9114600947 is being offered at auction in January 2015 at the Russo & Steele Scottsdale auction. By now we are all familiar with the famous History of the illustrious and legendary Porsche Carrera RS. It is a mute point therefore to wax lyrically over it?s looks, incredible performance, or the joy of driving, that can only be had by owning such a car, notwithstanding they are now firmly established on the "must have" list of any Collection. The Limited Production Euro Carreras, which were not available in the US, share the same Mechanical Components, Bloodline and DNA as their earlier Brothers. 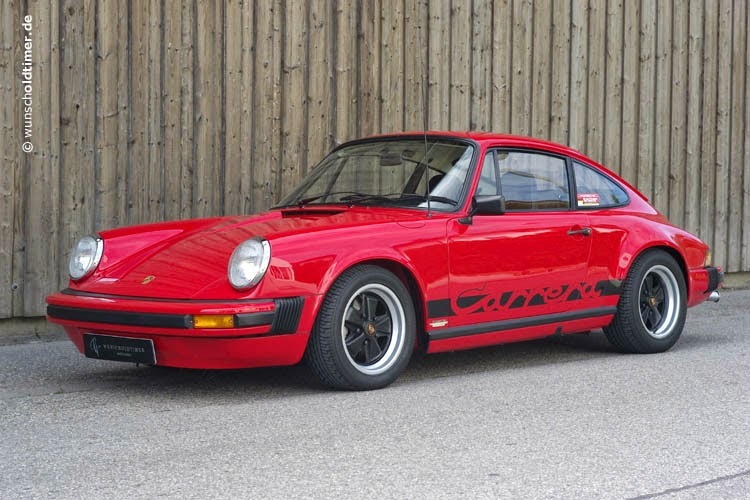 This is one of the very sought after 1974 European 2.7 RS engined Carreras. 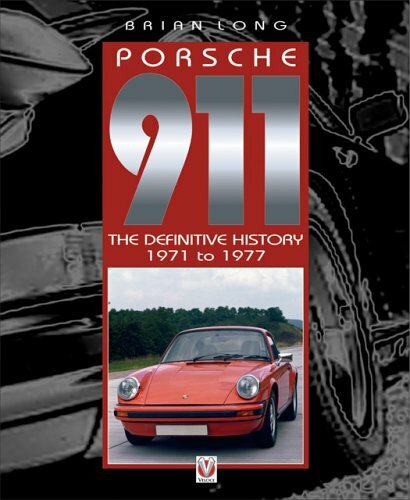 Chassis # 9114600947 was first delivered on the 17th of May 1974, to the Prince of Bahrain, Sheik Abdulla Hamad Al-Khalifa, at the Porsche Factory in Stuttgart, Germany, and given the Duty Free License plate: # 857-Z-9688. During the Prince's ownership his prized possession moved with him from Country to Country. First Port of call was Bahrain, that same year, where it was given a Bahrain license plate # 7979. Subsequent moves were to Paris, in July of 1981, then to Geneva, in May of 1992, and finally to London, in 1994, all confirmed by the wonderful documentation at hand. 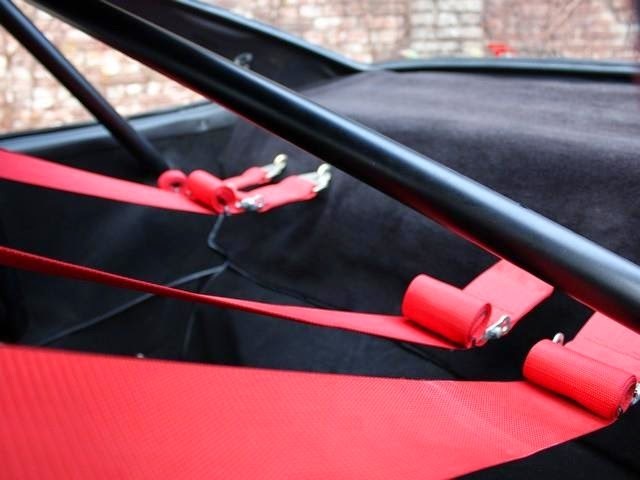 Despite these many moves, Carrera # 947 was always lavishly stored and maintained, being driven only 25,785 mile or 41,256 kms, in it's nearly 20 years of Royal Ownership. On the 19th of February 1998, The Prince finally sold his Treasure, via a Broker, to Mr. S. Bridgland of Surrey. Carrera # 947 was given a year appropriate UK License plate # BBK162M. In 2001 it changed hands again, selling to Mr. J. Thompson, of Hampshire. He owned it right up to the time of it being sold to and imported by it's current Owner, in 2012. There is a Porsche Certificate of Authenticity, showing it to be all Numbers Matching, and a Certified mileage of only 58.837 or 94,140 kms. It comes with a comprehensive Folder documenting it?s Provenance, Chain of Ownership, Service records and Safety inspections, all confirming the mileage. The car has had one Rotisserie repaint in the unique and Factory original Special Order color, of #432, Diamond Metallic. All the mechanicals, engine, gearbox and suspension were all done to show standards at that time. The interior is all original, and a testament to it?s low mileage and the loving care it has received it?s entire life. Factor in the Car's Royal Provenance, Chain of Ownership, Certified low miles, extraordinary condition, and multiple Class and Division Awards, then you know you have a Blue Chip Investment Grade quality Vehicle on offer here. As well as featuring unique Special Order paint, Gold Script and wheels, Factory Air conditioning, Electric windows, Full leather interior, and Factory Sport seats. That all adds up to a unique and very attractive combination. Certificate of Authenticity, Service Records, Owner's Manuals, Tool kit, Factory Jack, Factory Air Compressor, a full Factory supplied Emergency first aid kit, as well as Trophies and Awards. Auctioned at the 2015 Russo & Steele Scottsdale Auction. 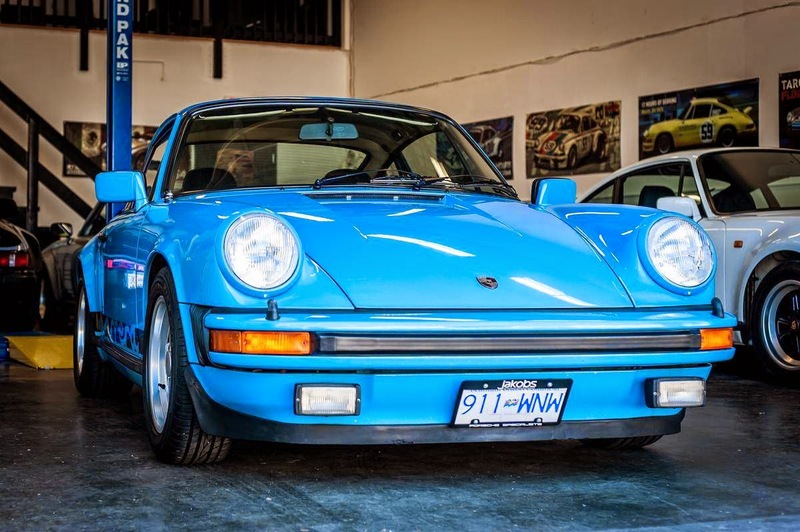 Mexico Blue is one of the most desirable mid-1970s colors, so this Carrera 2.7 MFI is worth considering if you are in the market. 1975 Carrera 2.7 MFI #0121 is heavily optioned from the factory, including an original whale tail. This Carrera features details unique to Japanese market 911s including the extra orange speedometer lines, labels on ignition and other switches, unique Japanese rear seat bottom, front orange reflector from the North American market, etc. More info can also be found on the seller's website. 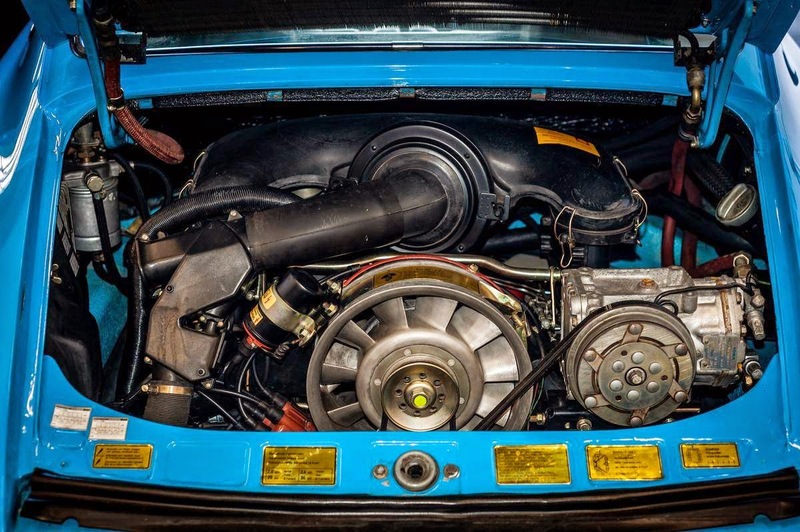 One of 508 Carrera 2.7 Mechanical Fuel Injection cars with the famous 210 bhp Type 911/83 engine found in the 1973 Carrera RS. Numbers matching original car from Japan with complete set of tools, books and records. Stunning Mexico Blue Paint and all original interior. Optioned with rear Spoiler, air conditioning, fog lamps and tinted glass as per COA. A superb example. Offered for $295,000 USD (approx. €237,000). As the year winds down I've been heads down trying to finish the Carrera 2.7 MFI book, so haven't been posting cars that are for sale as often. Nigel (and others) have been giving me a hard time to post more updates, so here is a quick summary of what's available on the market. Happy Holidays! 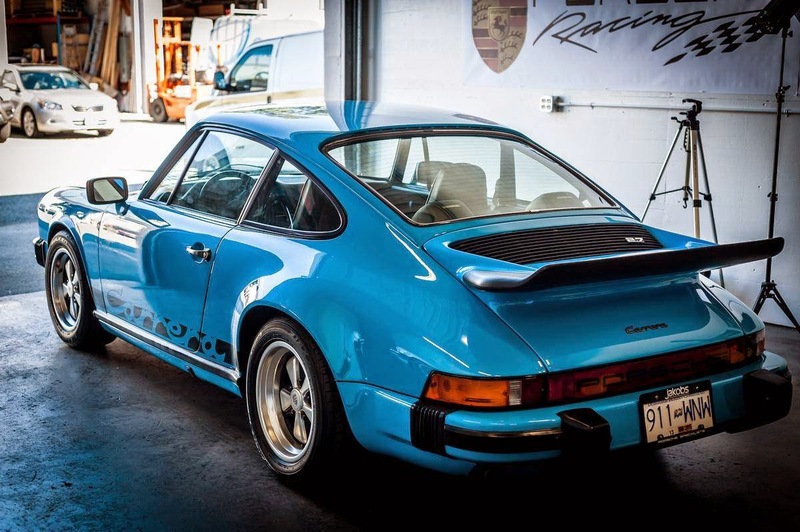 1974 Carrera 2.7 MFI #0219 in Mexico Blue offered for 299,000 EUR (approx. $373k USD). This has been offered on-and-off again over the years. 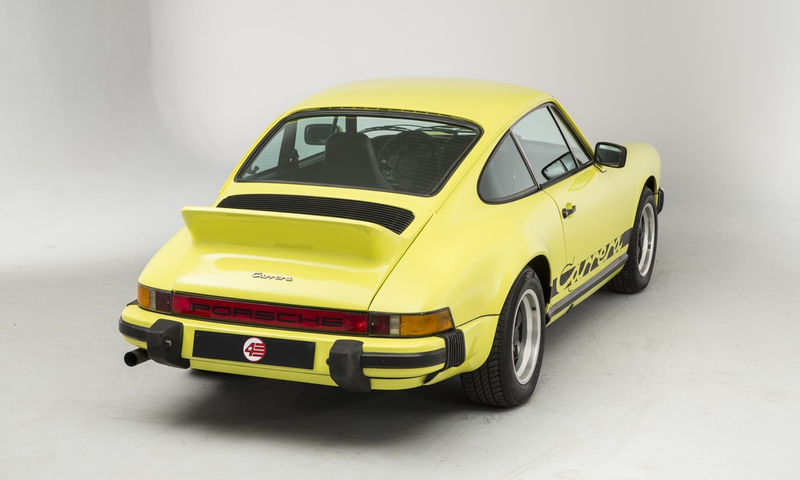 1974 Carrera 2.7 MFI in Light Yellow is offered for £224,995 (approx. $354,000 USD). This Japanese market Carrera features many Japanese market specific differences from other rest-of-world markets including front reflectors, rear seat, dash labels, etc. A whale tail has been fitted, so this either is incorrect, or it is a 1975 model instead of a 1974. 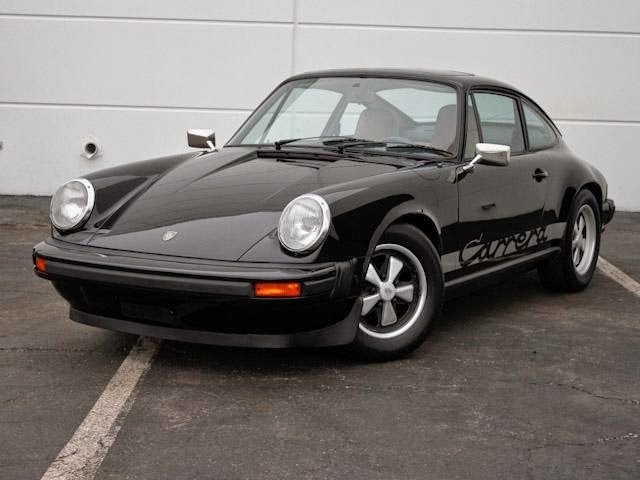 1974 Carrera 2.7 MFI #0500 in Black offered for $317,900 USD in the United States. 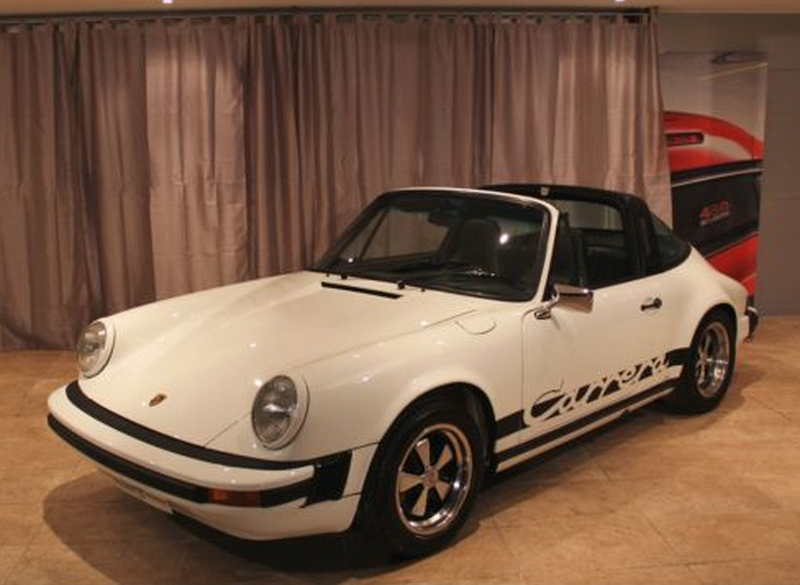 1974 Carrera 2.7 MFI Targa in Grand-Prix White is offered for 189,000 EUR (approx. $237,000 USD). While externally this appears to be nice, there are many incorrect details including seats, steering wheel, radio, engine details, etc. 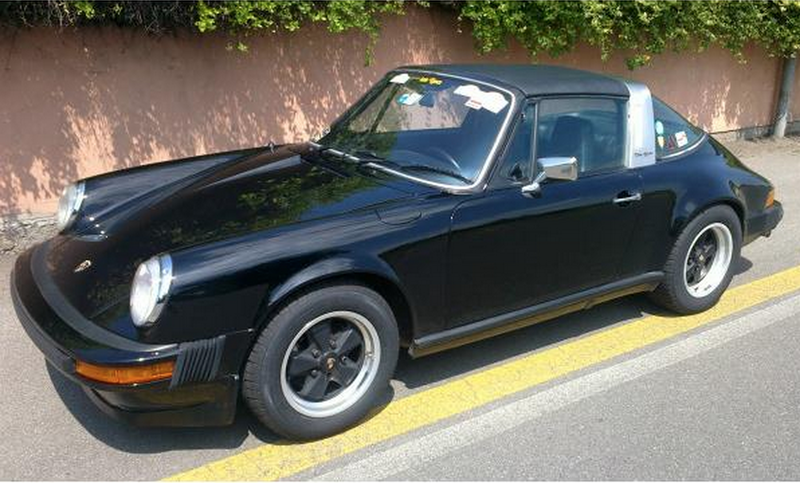 1974 Carrera 2.7 MFI Targa in Black is offered for 190,000 EUR (approx. $237,000 USD). This appears to be a very well used driver. 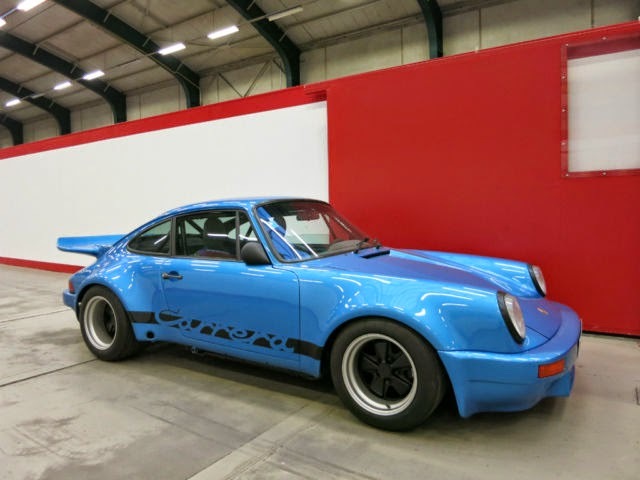 1975 Carrera 2.7 MFI #0298 in heavily modified racing trim offered for 159,000 EUR (approx. $198,000 USD) and can be viewed in this video. It recently had a substantial price drop. 1976 Carrera 2.7 MFI #9072 in Grand-Prix White has recently been offered for 199,000 EUR (approx. $248,000 USD). This appears to have various modifications including front air dam, shark fins, different seats, etc. ; however, this is appears to be quite a bargain compared to the other Carreras on the market right now. 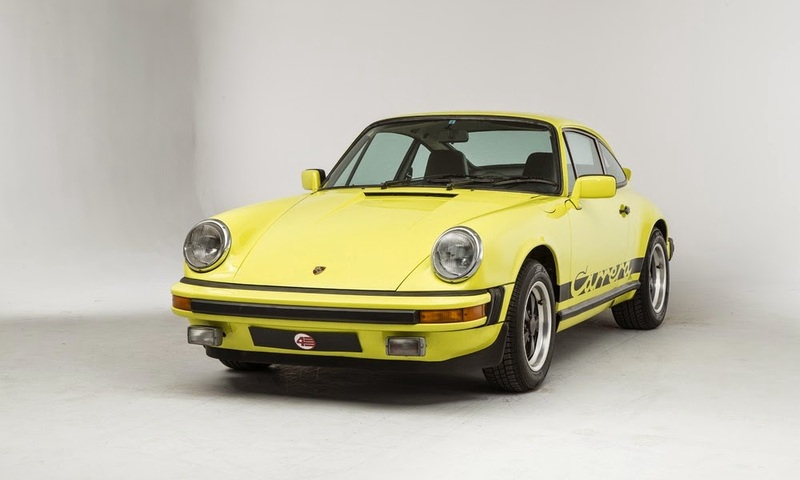 The 1976 Carrera 2.7 was the last mechanically fuel injected street 911 ever produced by Porsche. It was a special order model that was available within Germany only and is the rarest coupe model (the twenty 1976 Belgium Gendarmerie Carreras are the rarest Targa model). 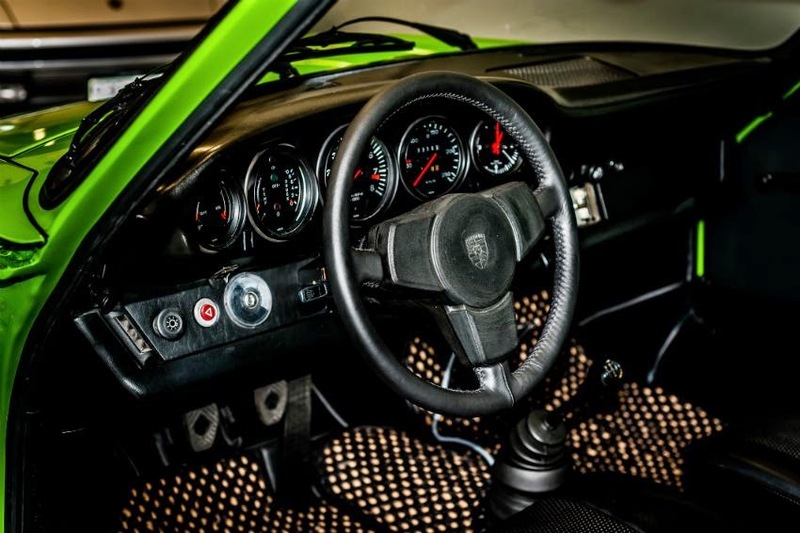 1976 Carrera 2.7 MFI #9104 is a heavily modified Carrera 2.7 that is offered for 159,500 EUR (approx. $199,000 USD). Modified with roll cage, seats, interior redo, bumpers, racing tail, and a variety of engine updates. 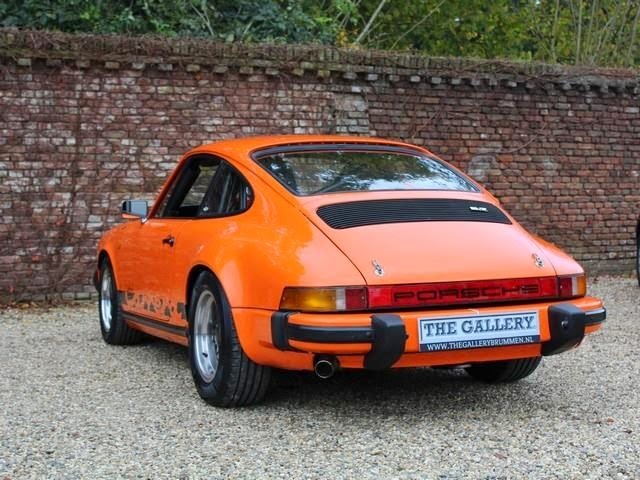 This would be costly to return to stock form and sells at a substantial discount to a nicely sorted 1976 Carrera 2.7. 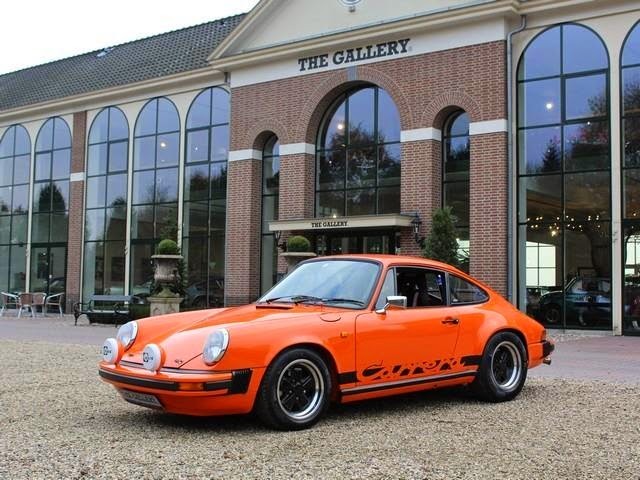 1975 Carrera 2.7 MFI offered in the Netherlands in highly desirable Orange. Reportedly engine is non-numbers matching, but a correct type 911/83 engine. De "onbekende" bekende !! 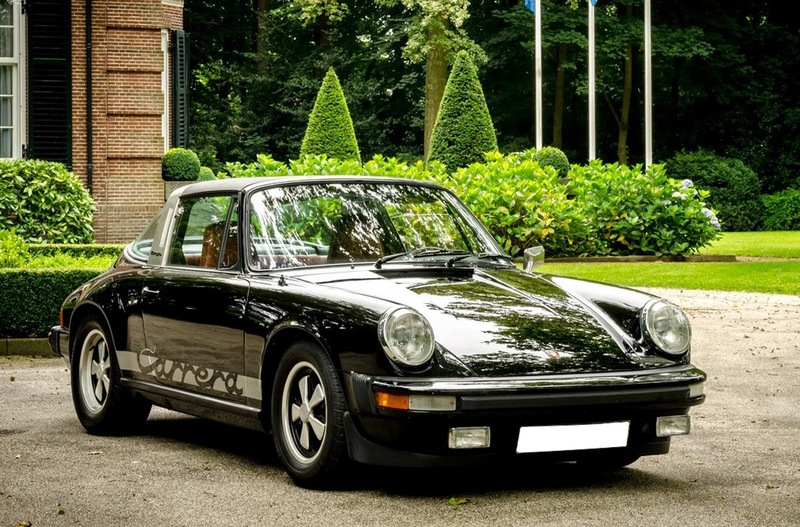 Porsche 911 Carrera 2.7 MFI.Het betreft hier een perfect origineel Europees exemplaar ! Van deze zeldzame, en vrij onbekende versie zijn er in totaal slechts 1500 geproduceerd ! Echter in 2 verschillende versies, de EU MFI 210 pk versie, en de aangepaste US versie met slechts 175 pk. Deze "Euro Carrera" is de meest geliefde en gezochte versie, en absoluut niet te vergelijken met de US versie. 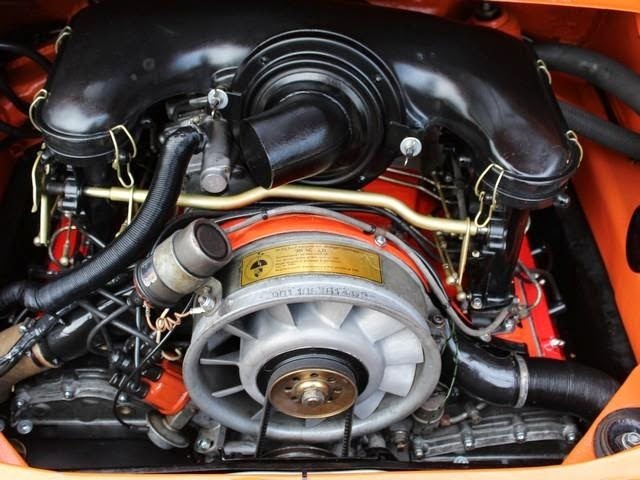 De motor ( 911/83 ) is exact dezelfde als die in de welbekende 911 Carrera 2.7 RS uit 1973 !! Zo ook de ophanging en versnellingsbak. Dit resulteerde in vrijwel dezelfde rijeigenschappen als die van de ’73 RS. Zoals op de meeste US varianten de welbekende "Ducktail" als optie leverbaar was, was dat bij de EU versie niet het geval. Echter een duidelijke optische herkenning zijn de verbrede achterschermen, zoals we die bij de latere 3.2 versies ook weer terug zien. Dit in een zeer goede staat verkerende exemplaar is met vele extra's uitgerust. Technisch perfect, en vele rekeningen zijn ter inzage. Wellicht is dit type nog zeldzamer dan zijn bekende voorganger, en voor de 911 verzamelaar een absolute "Must have" in zijn collectie ! ! The "unknown " known !! Porsche 911 Carrera 2.7 MFI.Het is a perfect original European one here! Are only 1,500 of these rare and little-known version is produced in total! However, in two different versions, the EU MFI 210 hp version , and modified US version with only 175 hp. This " Euro Carrera " is the most beloved and sought release, and definitely not compare to the US version . 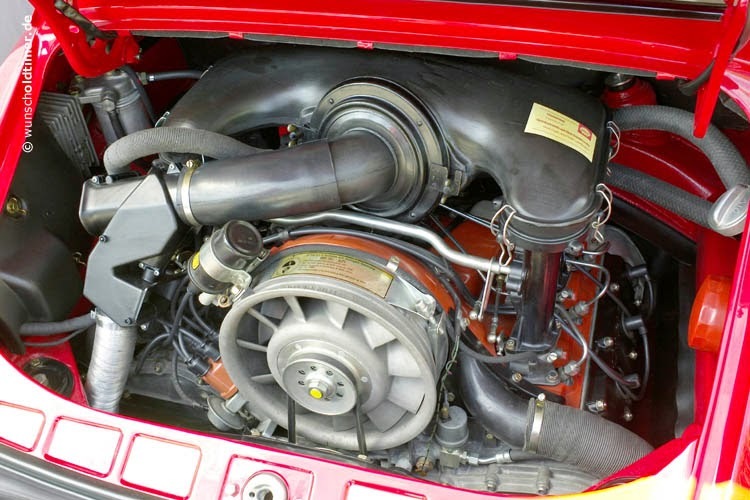 The engine ( 911/83 ) is exactly the same as those in the well-known 911 Carrera 2.7 RS 1973 !! 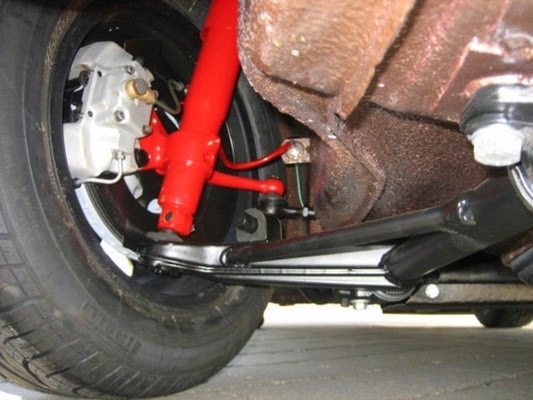 Similarly, the suspension and gearbox. This resulted in much the same driving characteristics as those of the RS '73 . Like most US variants of the well-known " Duck Tail" as an option was available, which was with the EU version not the case. However, a clear optical recognition are the widened rear fenders , as we see again in the later 3.2 versions . This neighborhoods in a very good condition copy is equipped with many extras. Technically perfect, and many accounts are available for inspection . Perhaps this type is even rarer than his famous predecessor, and the collector 911 is an absolute "Must have" in his collection ! ! Offered for €185,000 (approx. $230,000 USD). Lot 234, the black Italian-delivered 1974 Carrera 2.7 MFI Targa (chassis #911 461 0191) sold for €232,400 (approx. $288,000 USD) at Artcurial's Automobiles sur les Champs sale in Paris on November 2nd. This surpassed the original auction estimate was €140,000 to €160,000 (approx. $173,000 USD to $200,000 USD) and sets a new record price for the Targa models at auction. This was previously for sale in the Netherlands. The full PDF style auction catalog is available. 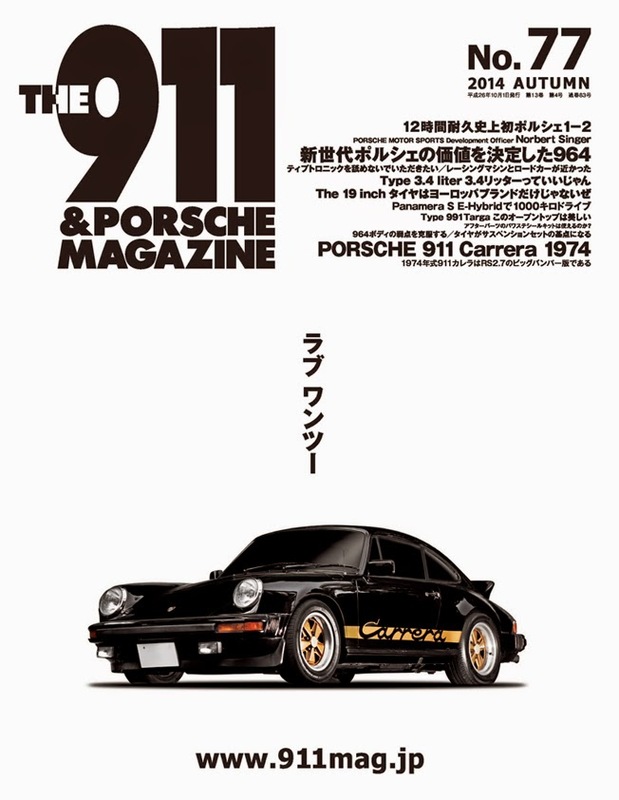 Having just landed in Tokyo, I found it an amusing coincidence that the featured cover car for the current Japanese The 911 & Porsche Magazine issue #77 is a black 1974 Carrera 2.7 MFI with gold script and wheels. I haven't determined the chassis number yet, but the gold with black combination looks great. 210 bhp, with Type 911/83 air-oooled horizontally opposed six-cylinder engine with Bosch mechanical fuel injection, five speed manual transmission, independent front suspension and torsion bars, McPherson struts , anti-roll bar, independent rear suspension with torsion bars, trailing arms, tubular dampers, anti roll bar and four wheel disc brakes. Wheelbase 2,271 mm. One of 1050 Carrera MFI cars produced in 1974. Beautifully optioned example with S brakes, Koni shocks, Blaupunkt Bamberg with factory upgrade speakers and tinted glass. Concourse restored 1974 Carrera 2.7 MFI Coupe. 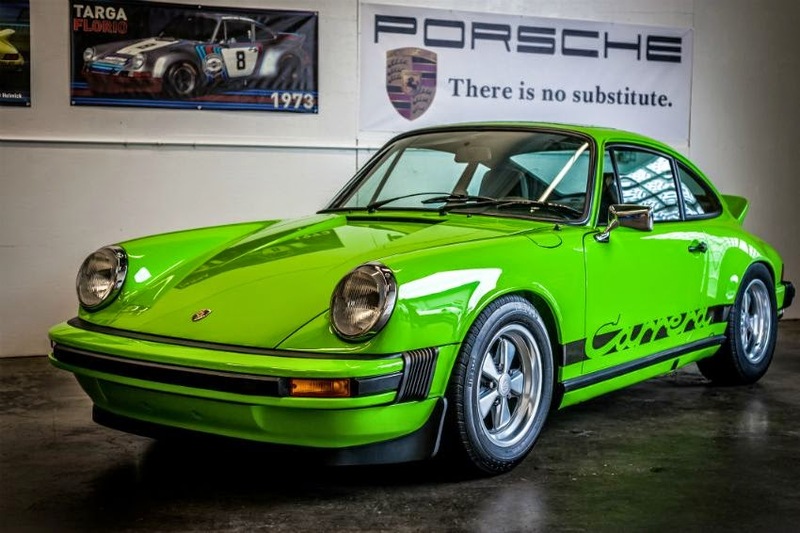 The 1974 Carrera RS was built on the new short bonnet G-series chassis with a strengthened floor plan, front and rear impact bumpers, revised lighting and other features to improve crash-worthiness demanded by the U.S. market. For reasons of economy, Porsche manufactured all new 911’s on the same chassis. 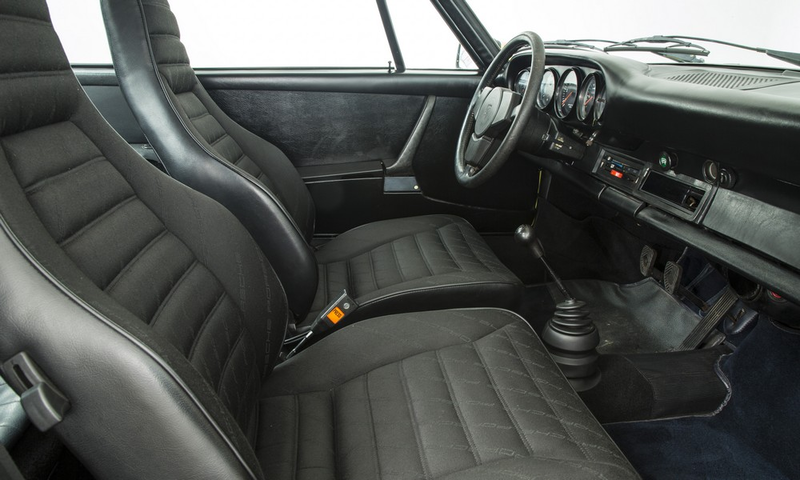 They also changed the engine specifications for the 1974 Carreras, which replaced the top of the line 2.4 S from the year before. All Carrera received a new 2.7 litre engine with more durable Nikasil coated cylinders. European Carreras received the Type 911/83 with Bosch mechanical fuel injection (MFI) from the hugely successful and popular 1973 Carrera RS. 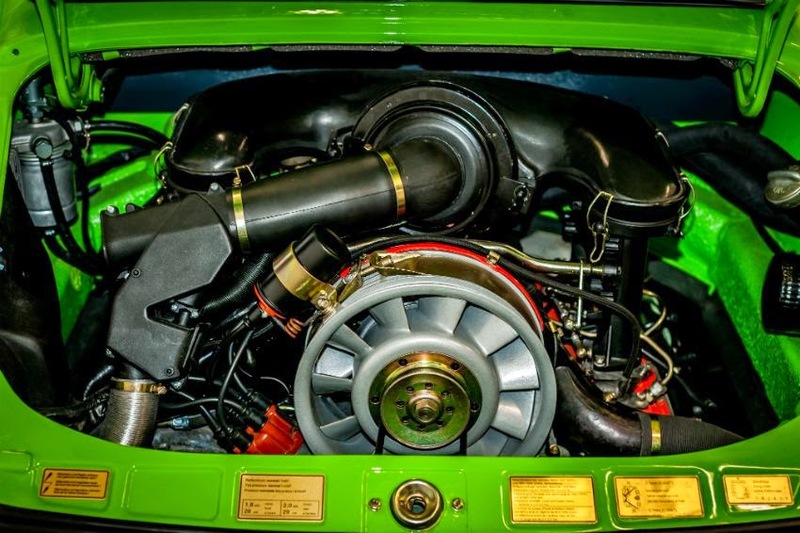 This engine developed 210 bhp at 6,300 rpm and 188 foot-pounds of torque at 5,100 rpm. 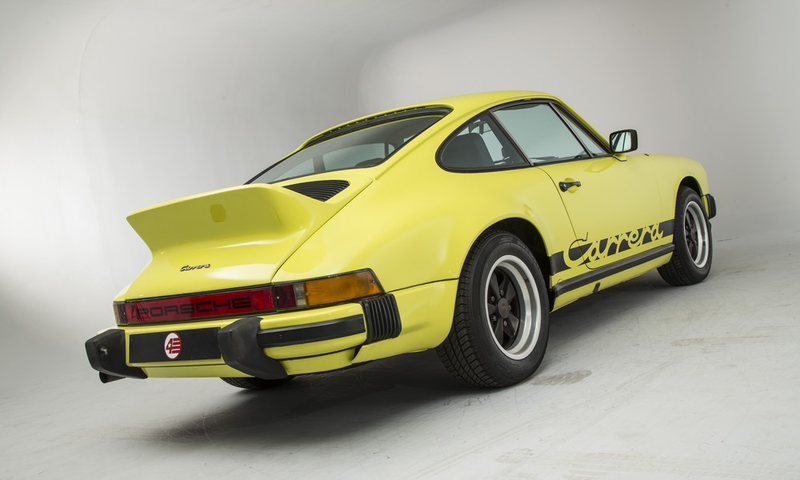 With nearly identical performance as the 1973 Carrera RS in touring trim, the 1974 Carrera 2.7 MFI is said to have been the quickest normally aspirated roads 911 produced until the late 1980’s. With its low weight of just over 1,075 kilograms the Carrera MFI is a brilliant performer, achieving 0-60 mph in the 5 second range and capable of reaching speeds over mnore than 150 mph. Power is fed through a type 915/06 five speed manual transaxle and has Fuchs seven and eight inch alloy wheels. Large ventilated disc brakes-282 millimeters in diameter in the front and 292 millimeters in the rear provide superb braking. 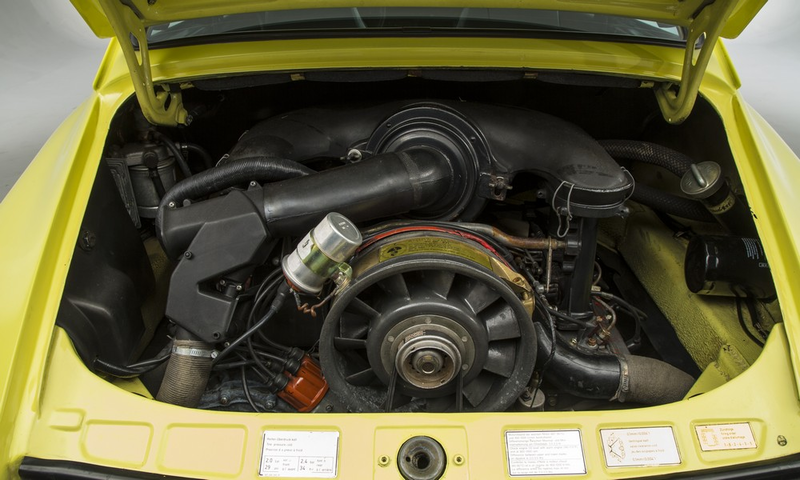 A yellow 1974 Carrera 2.7 MFI recently became available in the UK. It has been repainted at some point in the past and sports a variety of incorrect details (mirrors, seats, rear speakers, coil, steering wheel center, wheel center caps, etc), but sounds worth checking out if you are in the market. 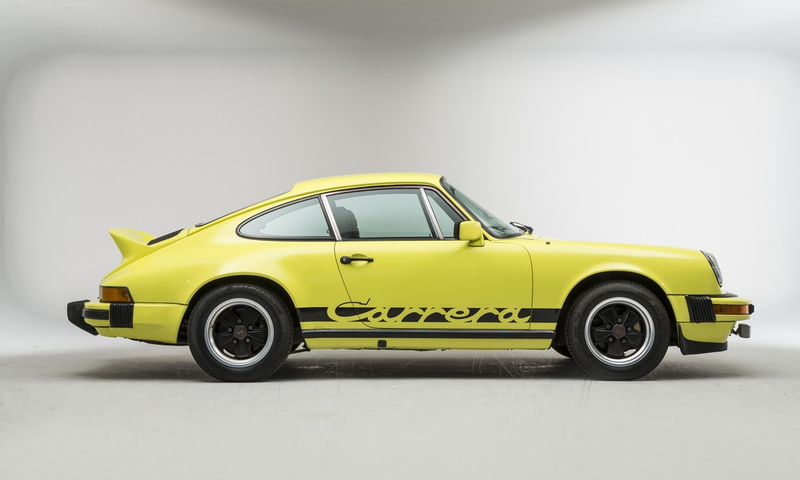 After the legendary 1973 Carrera RS finished production, a series of Carreras were built for the European market that were equivalent to the 73 RS Touring models. This rare and desirabled Porsche was the G-series Carrera 2.7 MFI, which used the same 911/83 RS mechanically fuel injected (MFI) engine that produced 210 bhp. The major difference between these Carreras and the RS was that they were built with the "G-series" body. The weight of the G-Series Carrera MFI was also 1075 kg like the 1973 RS Touring cars. 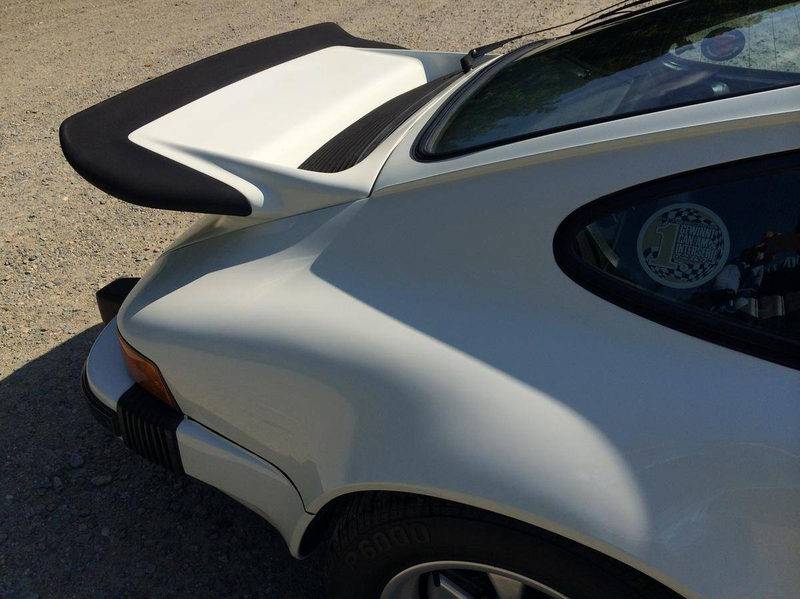 All 1974 Carrera MFI cars either came with a ducktail spoiler or tail delete, while examples produced from 1975 and onwards either came with the whale tail or tail delete. 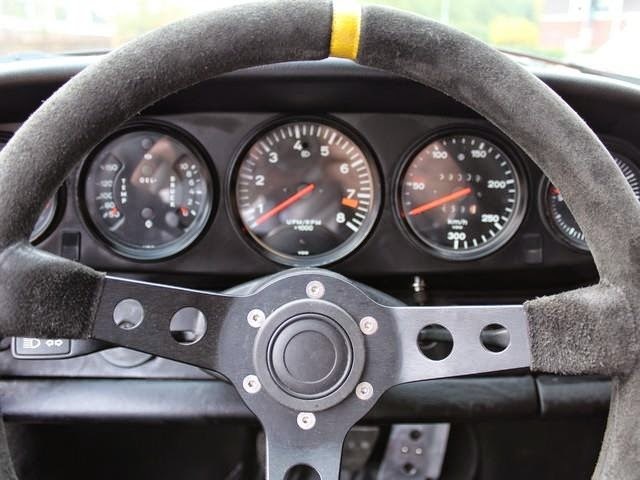 What makes the early 911s, Carrera RS, and the 2.7-litre MFI Carrera's so interesting and exciting to drive is the Bosch Mechanical Fuel Injection (MFI) setup. The glorious sound and instantaneous throttle response has a remarkable feel compared to the computerized injection systems of the 70s and 80s cars. In the December 1974 issue of Motor magazine the Carrera 2.7 MFI was extensively tested and they measured a 0-60 mph time of 5.5 seconds. 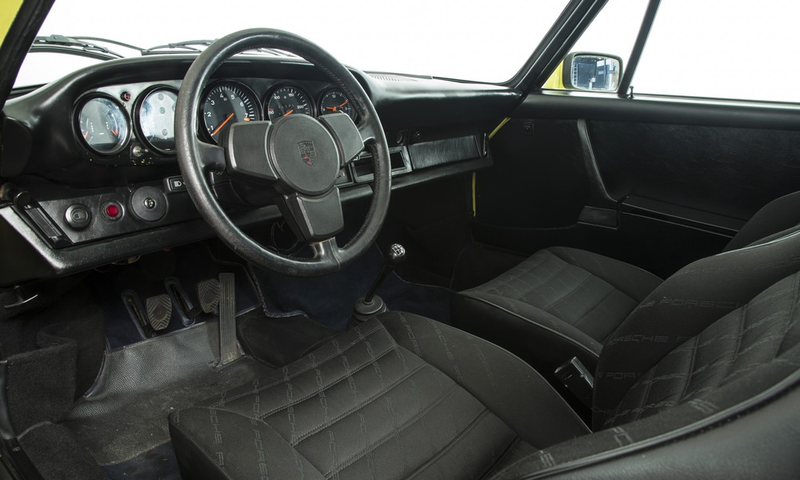 Porsche built a similar number of Carrera MFI's to the '73 RS with roughly 1,026 in 1974; 508 in 1975; and 113 in 1976. A total production of 1,647 as compared to 1,590 '73 Carrera RS built. These cars were never imported by Porsche into North America. 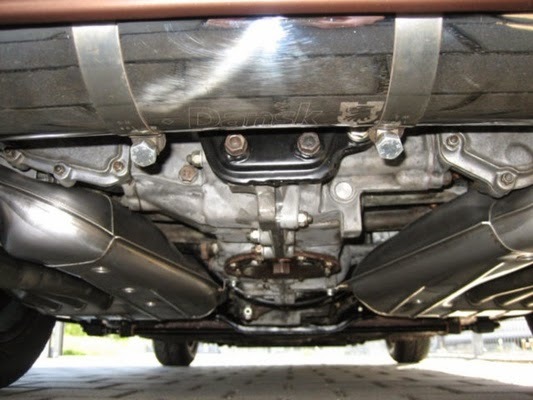 The strict US emissions laws required smog equipment that drastically impacted the performance of the 2.7-liter motor. The US version of the Carrera in 1974-1975 used the significantly less powerful CIS (K-Jetronic) based injection engines to meet the California and US emission standards. The 1976 Carrera 2.7 MFI was the last street car Porsche ever produced with mechanical fuel injection. In fact there were only three MFI based cars produced by Porsche after 1976, all race cars. First were the ten turbocharged Porsche 934 ½ built for Group 4 and the 1977 IMSA Championship, alongside the various incarnations of the turbocharged Porsche 935 built for Group 5 and, later, the twenty 3.0-liter 911 SC/RS (954) rally cars built in 1984 to compete in Group B. Electric windows, Front fog lights, Ducktail rear spoiler, Spare wheel and Jack. 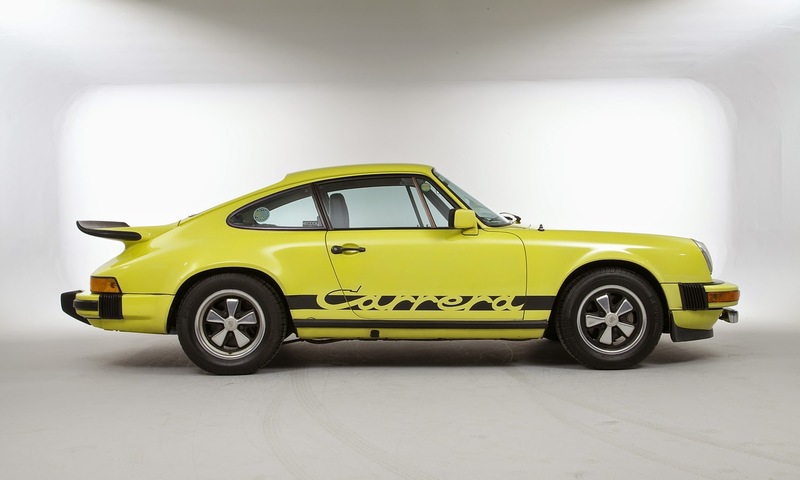 This 1974 2.7 is set-off perfectly in the classic 70's shade of yellow with the correct black Carrera decals down each side. This particular example has come from a dry climate and is structurally excellent with no signs of repairs in any of the usual 911 weak spots. The exterior has been treated to a repaint some years ago and still presents in fine order with a lustful shine and hardly any chips or imperfections. All of the black plastic trim and rubber seals are in good shape and the glass is free from cracks or chips. The front lights are in excellent order and the rears are fine other than a few small stress cracks in the rear lenses. The underside of the car is very good with no damage, repairs or corrosion. 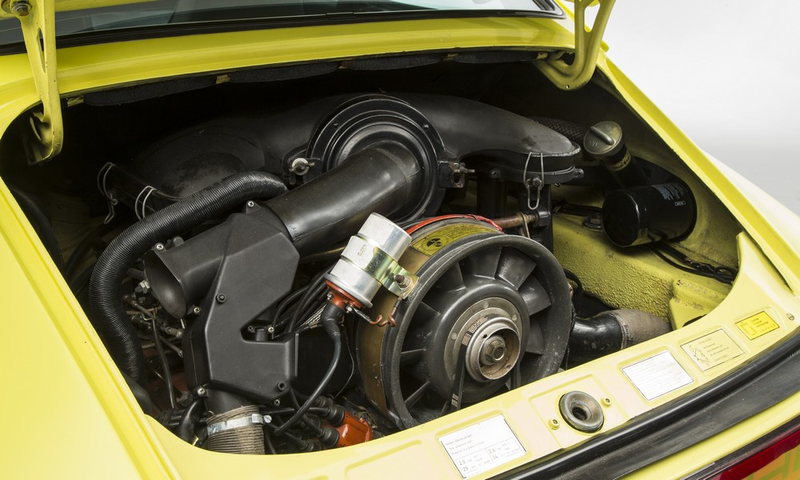 At the heart of this Carrera is the legendary 2.7 MFI engine as fitted to the 73' RS. This is still the original matching number motor and on our test drive it performed very well with a fantastic noise and surge of acceleration. All of the alloys are in immaculate condition with the correct finish and even the metal valve protectors are still in place. The tyres are a matching set of Michelin Pilot's, all of which have plenty of tread remaining. This rare and collectable 1974 2.7 has recently been imported to the UK and has had all the taxes paid and is now MOT'd and tax'd with a UK V5. All of the numbers have been checked including the secret number behind the ashtray. 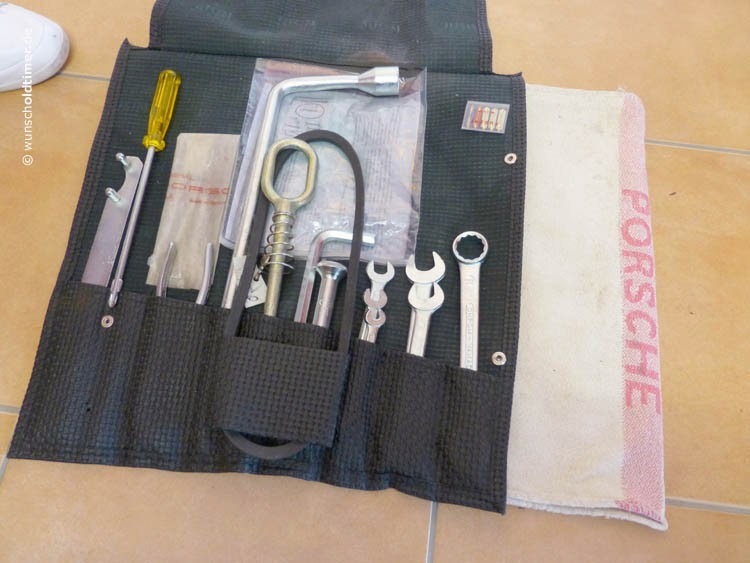 The car still has its original crested Porsche document holder, owner's manuals and service book. Offered for £149,995 (approx. $245,000 USD). Updated 9/26/2014: The Carrera is no longer available. 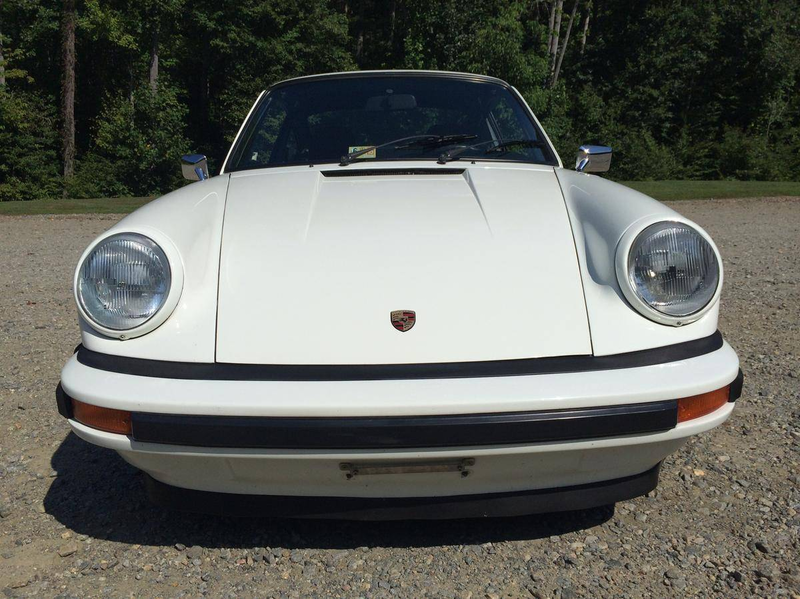 Posted 9/14/2014: Original and early production 1974 Carrera 2.7 MFI #0058 being sold. 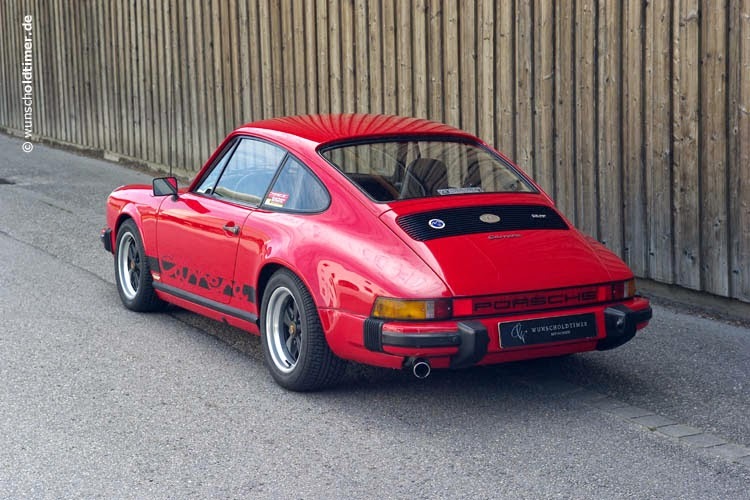 Being an early production Carrera 2.7 MFI, this is a carry-over Carrera with the welded-on RS flares and rare RS tunnel reinforcements that were added in the late 1973 RS production for additional chassis stiffness. This Carrera has been maintained by a serious Carrera enthusiast who tried to pay attention to all the details along the way. 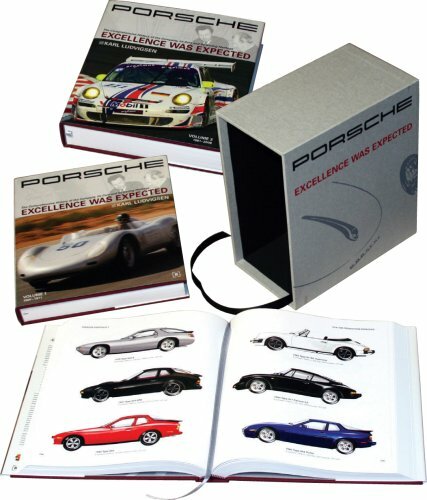 Included are various accessories, literature, related Porsche items and items collected by the owners, along with some rare spares. Der Wagen wurde im Juli 1973 bei Firma Magner in Wuppertal vom Eigentümer ohne eine Bild gesehen zu haben blind bestellt und am 20. September 1973 ausgeliefert. Eine Blindbestellung war damals bei dem neuen Carrera Modellen (echte G-Serie = Modell 1974) nicht anders möglich um wirklich der Erste in Deutschland zu sein, der das neue Modell in Empfang nehmen konnte. Die Prospekte waren schlichtweg noch nicht gedruckt worden. Hierzu gibt es eine interne Porsche Notiz, die diesen Umstand bestätigt. Sein erster Eigentümer hielt den Wagen über 40 Jahre bis zum Jahr 2013 in seinem Besitz. Der aktuelle Eigentümer ist seit Jahrzehnten mit dem ersten Eigentümer befreundet und hat ihn so erwerben können. Er wurde anschließend mit größtem Engagement sowie viel Liebe zum Detail optimiert und auf den buchstäblich neuwertigen Originalzustand gebracht. Selbst kleinste Details dieser Ur-Serie sind Original. Sie müssen wissen, dass die aller ersten Ur-Modelle des G-Modells kleine Abweichungen von den späteren Serienwagen hatten. Es ist nicht der Unterschied zu den H-Modellen (Modell 1974) usw. gemeint, sondern allein der Unterschied von den ersten G-Modellen zu den späteren G-Modellen ! Hierzu gibt es eine Porsche Dokumentation, die uns vorliegt. Dieser Wagen wurde laut Porsche Urkunde exakt so in G8G8 indischrot mit Motornummer 664 0080 (Typ 911/83) und Kunstleder blau/schwarz mit Sitzmittelstreifen Shetland ausgeliefert. Die Einzigartigkeit bei diesem Wagen besteht neben dem musealen Erhaltungszustand in der Vollkommenheit der originalen Details der wenigen gebauten und noch existierenden Ur G-Modelle. Diese sind beispielsweise die seltene schwarze manuelle Antenne, der schwarze Außenspiegel, schwarzer Carrera Schriftzug, schwarzes Eloxal rundum, schwarze Fuchsfelgen, die Scheibenwischerarme mit Nieten sowie weitere Details. Das Kunstleder blau/schwarz wie auch die originalen Teppiche mit Teppicheinfassungen in blau/schwarz sind in dieser Ausführung nicht mehr zu bekommen. 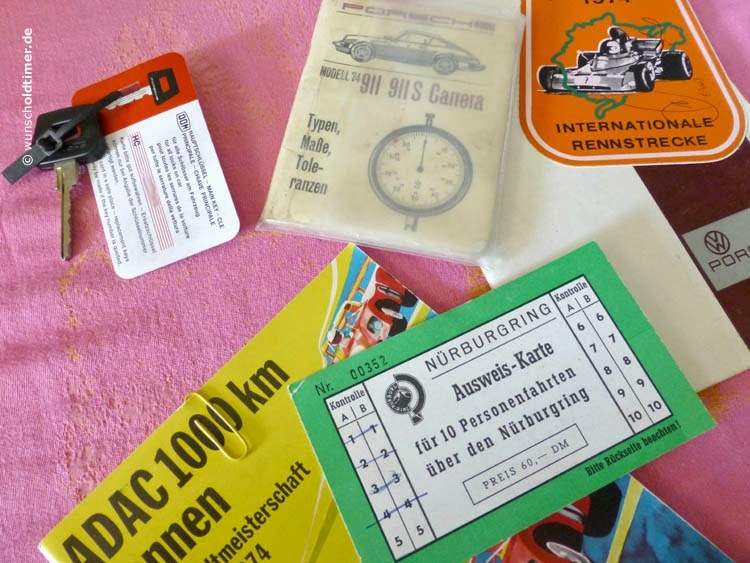 Alle Aufkleber im Motorraum sind keine Nachfertigungen sondern stammen aus dem Jahr 1973. Das gleiche gilt für den Carrera Schriftzug am Motordeckel mit dem Fähnchen am Ende. Die Carrera Schriftzüge der späteren G-Modelle haben das Fähnchen nicht mehr. Die Zündspule Typ 327 stammt ebenfalls aus Juli 1973 MFI 38/72. Das gleiche gilt für den Bischoffauspuff 91102500 / 573 sowie das erste unbenutzte Reserverad aus 7/73. Alle Details stimmen und das nach 41 Jahren ! Zudem liegen ebenfalls vor: Das originale komplette Bordwerkzeug, der blaue Wagenheber, der Kompressor in der originalen Porschetüte, die komplette Bordmappe mit allen Papieren, Prospekten, Preislisten und Farbkarten ! 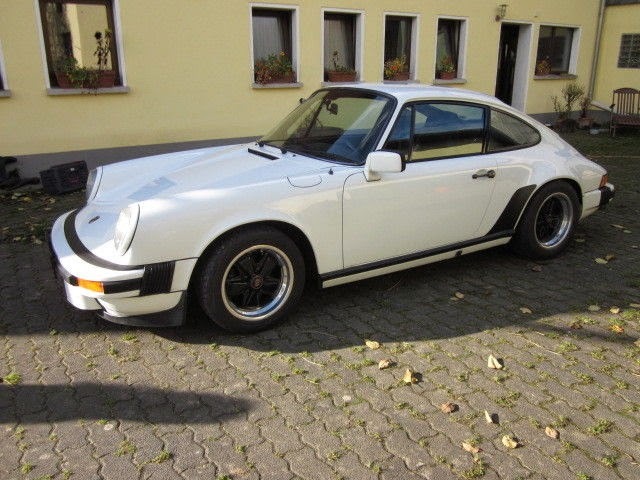 Übrigens laut originaler vorliegender Preisliste kostete das Carrera Coupé 37.980 DM. Somit könnte der Wagen im Hinblick auf den aktuellen Wert auch ein guter Geschäftswagen sein. Stichwort: Leasing + 1% Regelung Privatanteil vom Neupreis. Ein Highlite ist auch der vorliegende persönliche Brief des Porsche-Vorstandes an Premiumkunden zur Ankündigung des neuen Porsche Carrera 2.7 Liter. Der Brief wurde nur einer handvoll Kunden zugesendet, die den Wagen daraufhin bestellen konnten und auch durften. Der Brief liegt mit Kuvert und Briefmarke von 1973 vor. Es gibt noch viele weitere Besonderheiten zu entdecken, die wir Ihnen gerne in Ruhe bei einer Besichtigung vorführen. Dieses Carrera Urmodel begeistert durch seine Vollkommenheit in allen Punkten: Historie, Erhaltungszustand, mechanischer Zustand, Originalität und seiner Qualität ! 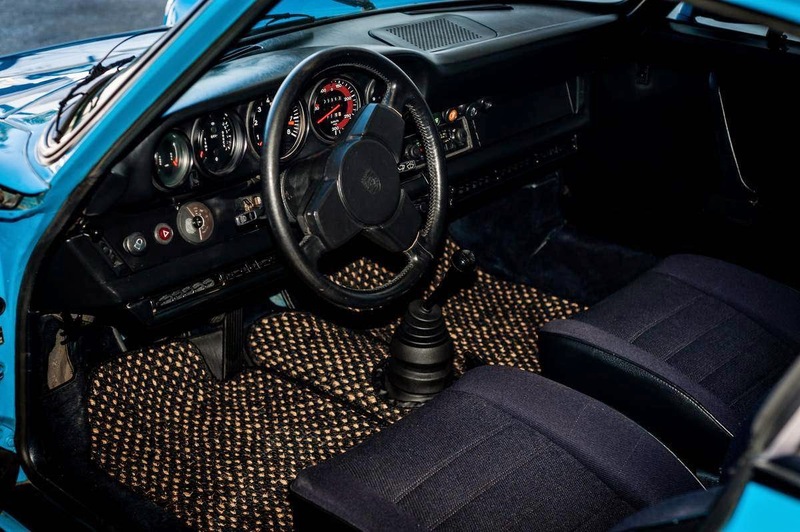 The car was to have been ordered blind in July 1973 from Magner in Wuppertal without seeing pictures of the new model and delivered on September 20, 1973. An order was taken for the new Carrera models (G-series model = 1974) in order to really the first to be otherwise possible in Germany who could take the new model in reception. The brochures were simply not yet printed. To this end, there is an internal Porsche note confirming this fact. His first owner kept the car for over 40 years until 2013 in his possession. The current owner is friends with the first owner for decades and has been able to acquire him so. He was then optimized with utmost commitment and attention to detail and brought to literally mint original condition. Even the smallest details of this great series are original. You must know that the very first original models of the G-model had small deviations from the later production cars. It is not the contrast to the H-models (model 1974), etc. is meant, but only the difference from the first G-models to the later models G! For this purpose there is a Porsche documentation that is before us. This car was exactly as (911/83 type) and imitation leather blue / black Porsche delivered loud instrument in G8G8 Guards with engine number 664 0080 with seat center strips Shetland. The uniqueness of this car is next to the museum conservation status in the perfection of the original features of the few built and still existing G models. These are for example the rare black manual antenna, the black mirrors, black Carrera side script, black anodized trim all around, black Fuchs wheels, wiper arms with rivets and other details. The artificial leather blue / black like the original carpets with carpet edging in blue / black are hard to come by in this version. 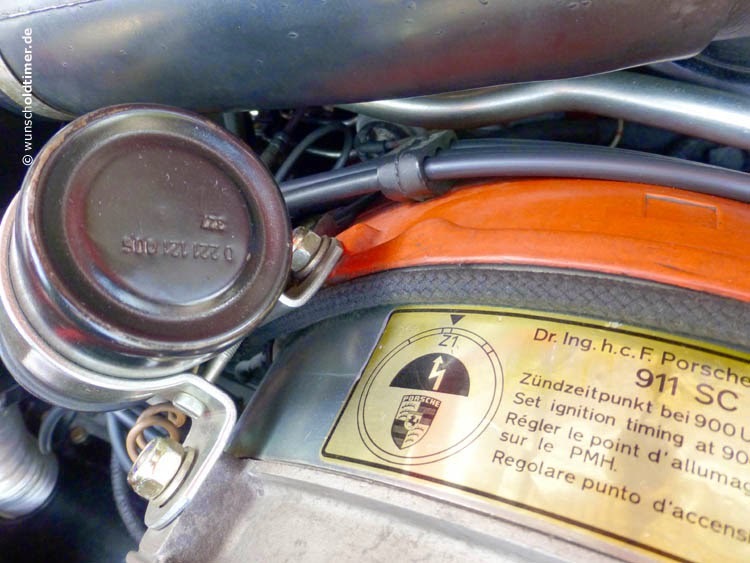 All stickers in the engine compartment are not reproductions but are from the year 1973 The same is true for the Carrera logo on the engine cover with the flag at the end. The Carrera writings of the later G models no longer have the flag. The ignition coil type 327 is also from July 1973 MFI 38/72. The same goes for the exhaust Bischoff 91102500/573 and the first unused spare from 7/73. Agree all the details and after 41 years! 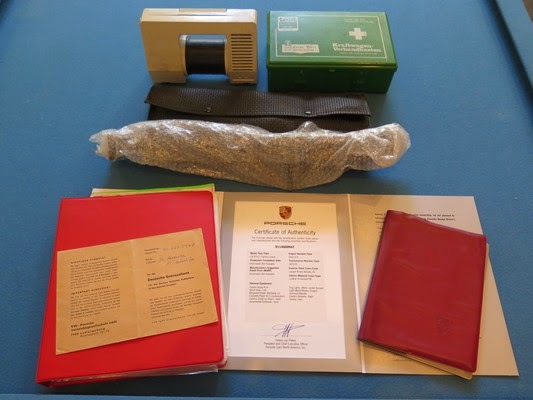 In addition, also are: The complete original toolkit, the blue jack, the compressor in the original Porsche bag, the complete board binder with all papers, brochures, price lists and color cards! 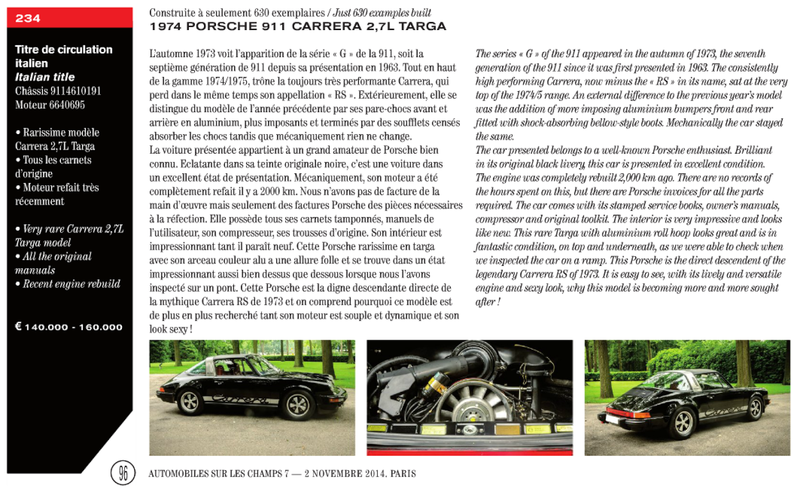 Incidentally, according to the present original price list cost the Carrera Coupé 37,980 DM. Thus, the carriage with respect to the current value could also be a good company car. High-light is also a personal letter from the Porsche Board of premium customers announcing the new Porsche Carrera 2.7 liters. The letter was only a handful of customers sent who could order the car and then also allowed. The letter is available with envelope and postage stamp from 1973. There are yet to discover many more features that we like to show you in peace for a visit. This Carrera model inspired by his perfection in all aspects: history, condition, mechanical condition, originality and its quality! Offered for €247,500 (approx. $321,000 USD). 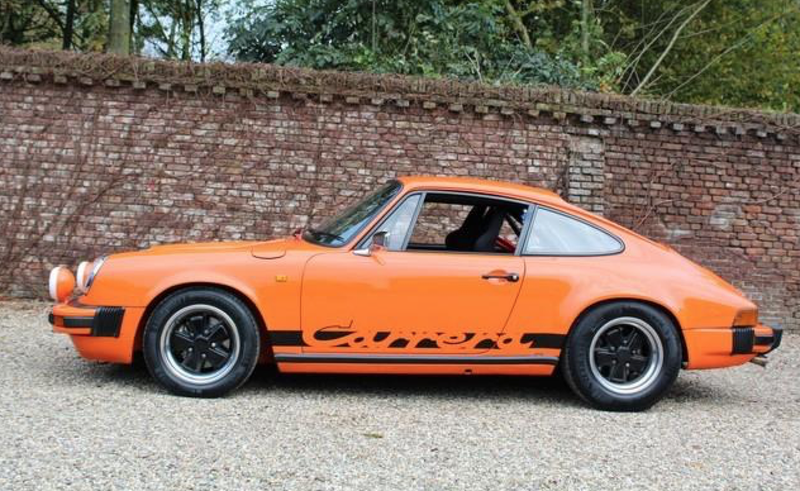 The very first 1975 Carrera 2.7 MFI #0011 is for sale. Originally yellow it has been repainted Grand-Prix White. 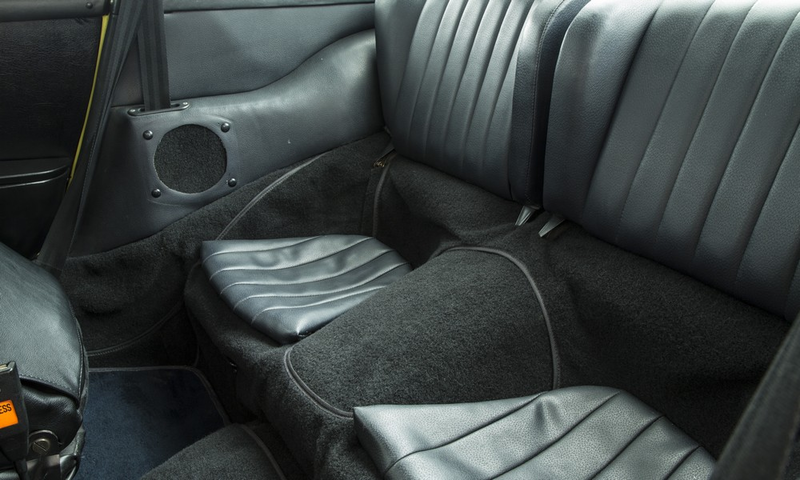 Correct early-style seats, but the black leather seats were recovered in a later 1977-style tartan seat inlay that also covers the headrest. 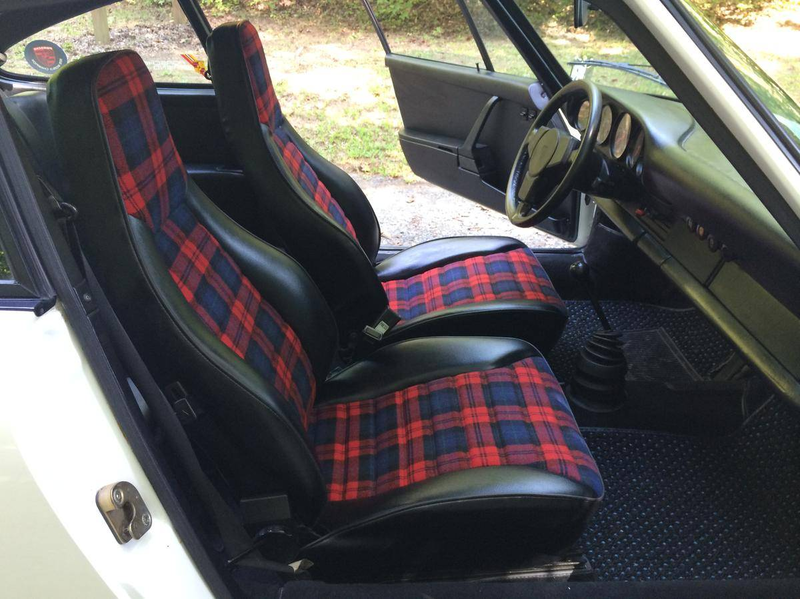 The 1970s style tartans always look fantastic in this era of 911. Replacement floor mats and carpets appear to have been replaced. If this was originally a Japan delivered Carrera it is missing the rear Japanese seats. European fender markers and passenger side mirror were a later addition. 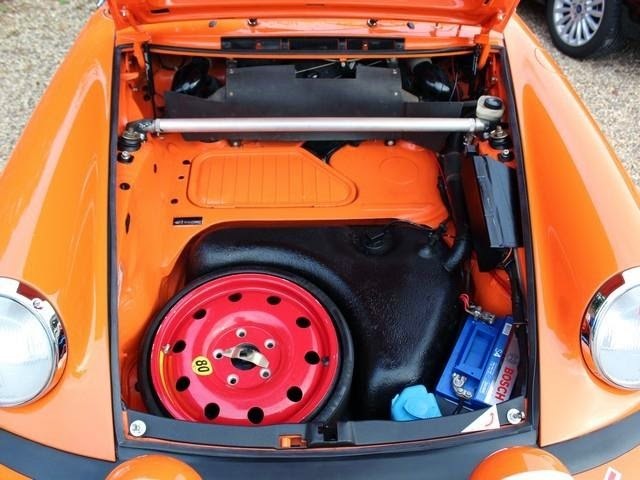 Fitted with a 911/83 engine from 1974. 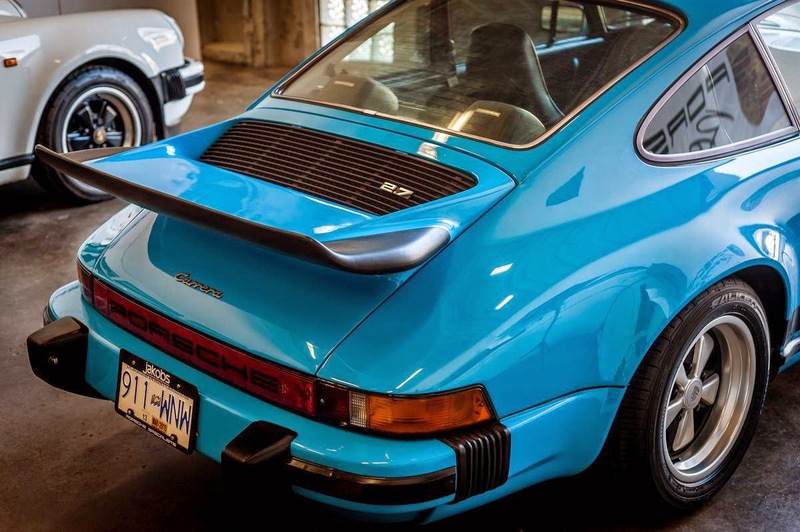 Unknown if the Carrera originally came with whale tail and rear wiper. Windows and whale tail sport many decals not originally fitted to a 1975 Carrera. Engine appears nicely detailed, with an incorrect extra coil sticker and missing far left engine decal. 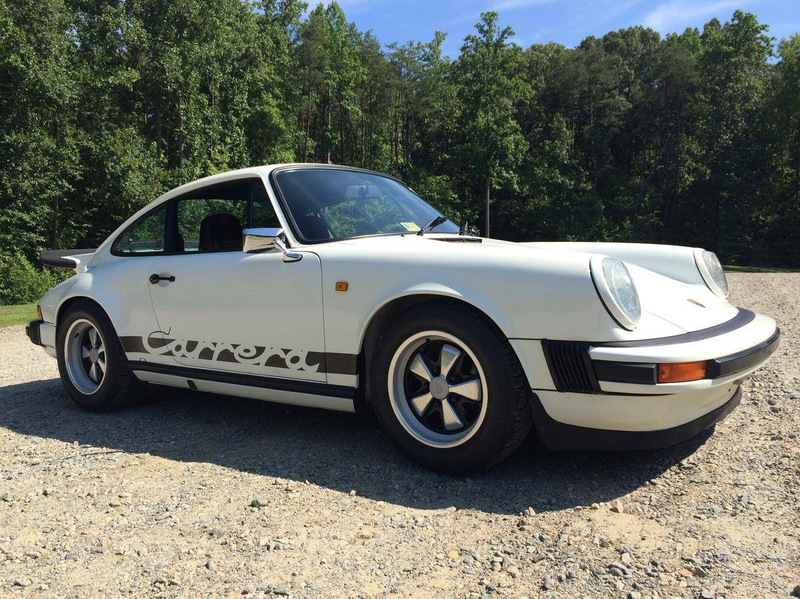 These Carrera 2.7 MFI are quite rare in the United States, but are beginning to have a strong following. You are looking at a beautiful and correct numbers matching "Euro Carrera" which is famous for being the mechanical equivalent of the legendary 1973 Carrera RS. 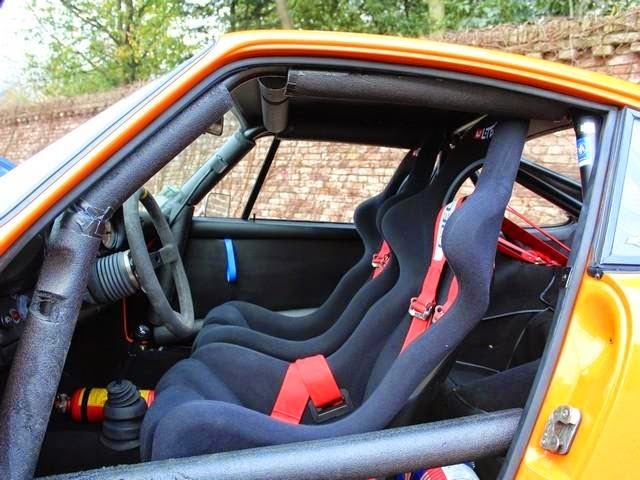 These special Carreras feature the same mechanically fuel injected 911/83 2.7 RS engine and mechanicals. This example has just been bought off of long-term ownership in Japan. The Grand Prix White paint is older and presents very well. The bottom of the car as well as the compartments are very clean. The interior was once restored and shows very well today with outstanding interior conditions throughout. There is absolutely no rust or evidence of crash or repairs to the tub. The tail spoiler is original to the car and in excellent shape. The wheels are restored 7 and 8 x 15 Fuchs alloys with new Pirelli tires. The Carrera runs and drives just as a 2.7 MFI RS should. 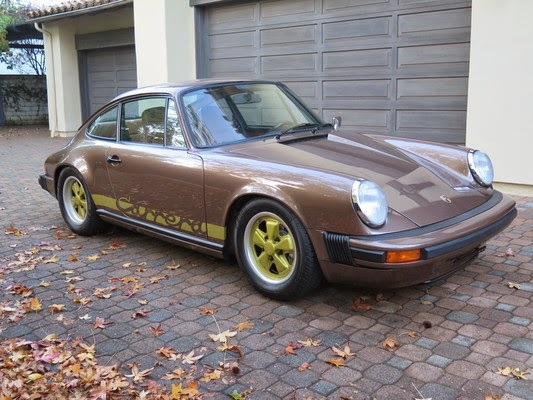 Overall an excellent example of a rare collectible Porsche. 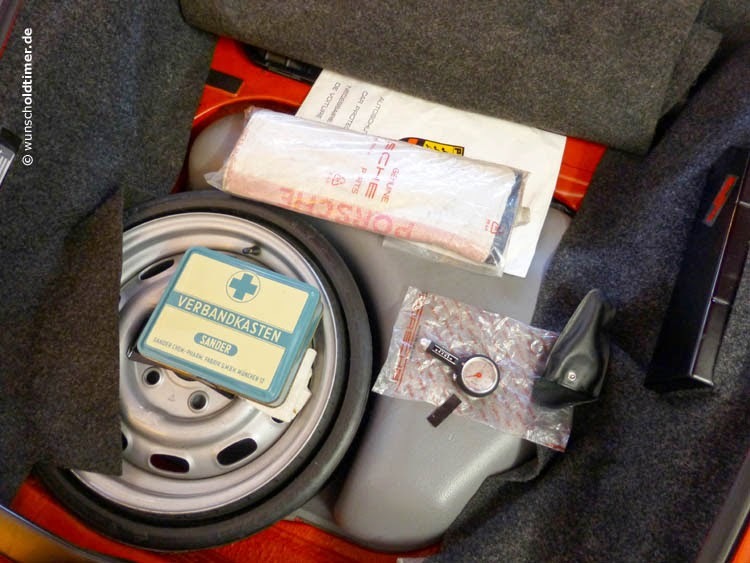 Owner's Manuals and tools are with the car as well as the original spare. Offered for $249,000 USD (approx. €192,500).